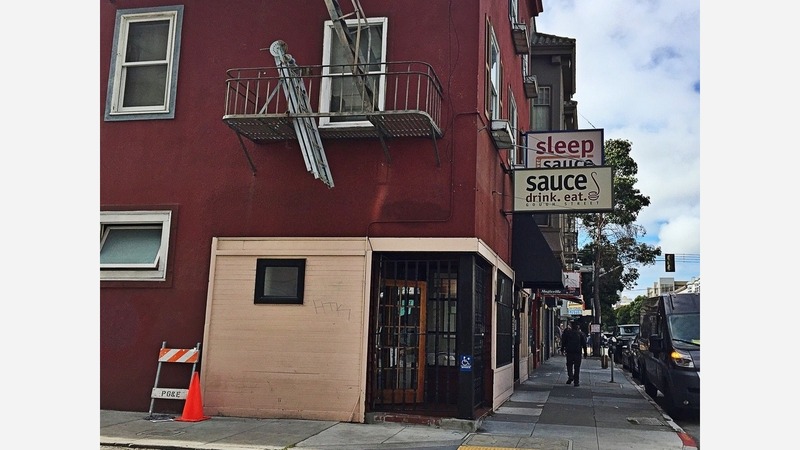 A Hayes Valley eatery and inn have hit the market: last week, 131-135 Gough St., home to Sauce and its boutique hotel, Sleep Over Sauce, was listed for $5,5000,000. 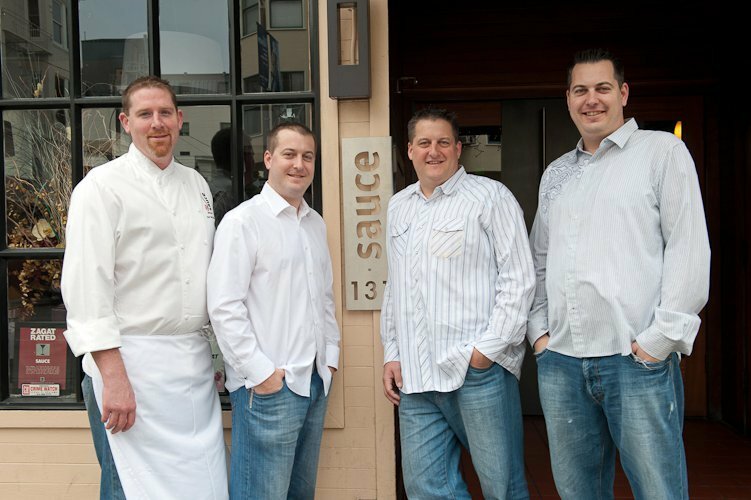 Previously known as The Albion House, brothers Nathan, Matt, and Trip Hosley bought the restaurant in 2004 with chef Ben Paula. In 2009, they purchased the entire building, including the bed-and-breakfast upstairs. In 2012, the partners formed a new consulting and management company before launching another full-service restaurant, Sauce Belden (56 Belden Place). After the Gough Street location closes, the FiDi eatery will remain in operation, owners told Hoodline. Trip Hosley said the restaurant group started a few ventures on the East Coast, including The Long View Lodge, a 19-room hotel and restaurant in Upstate New York, and a nearby burger joint, The Park. Selling the Gough Street property will allow brothers Nathan and Matt to focus on running the East Coast businesses while Trip and Paula remain in San Francisco to run Sauce Belden. In the future, the team plans to open some fast-casual spots around the city, said Hosley. "We all love it here," but "it's just time to move on," he said. "We had a great run and will continue to do more." Sauce will remain open for the immediate future and may continue to serve customers through the end of the year, he added. "We'll schedule to close when we get an offer we like," Hosley said, adding that offers have already started coming in. In the meantime, the restaurant is open and all guest reservations are secure. "We'd love people to have stop by, and we will give as much notice as possible when we begin an actual sale and have any dates for a possible closing party or closing week!" Sauce is open for dinner from 5 p.m. until midnight Sunday through Wednesday and from 5 p.m. to 1 a.m. Thursday to Saturday.